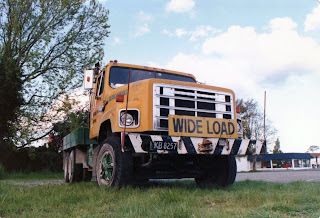 When I first started this blog I tried to achieve a variety of photos, but in doing so I realise now I've missed publishing some from my first albums. 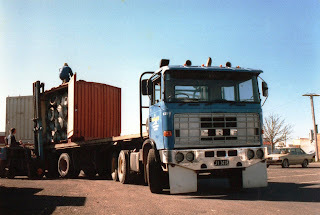 So here are some more, mostly from the 80s. F series Mack of Foley's in typical 6 axle stock truck combination of this era. 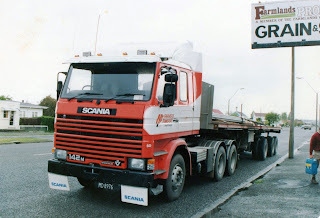 Snapped on Ngaumutawa Road in Masterton. 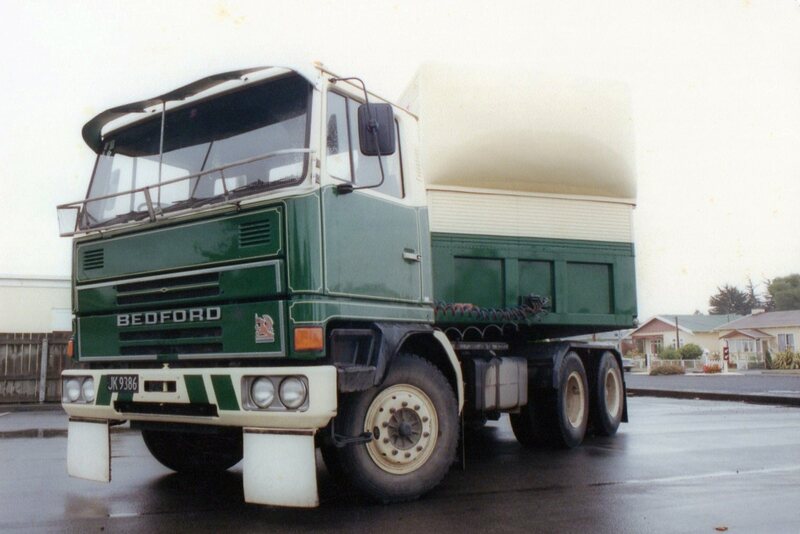 This 1984 International F 4870 was based on the T-line cab with rear side windows blocked out for a small sleeper and generally more luxurious fittings. 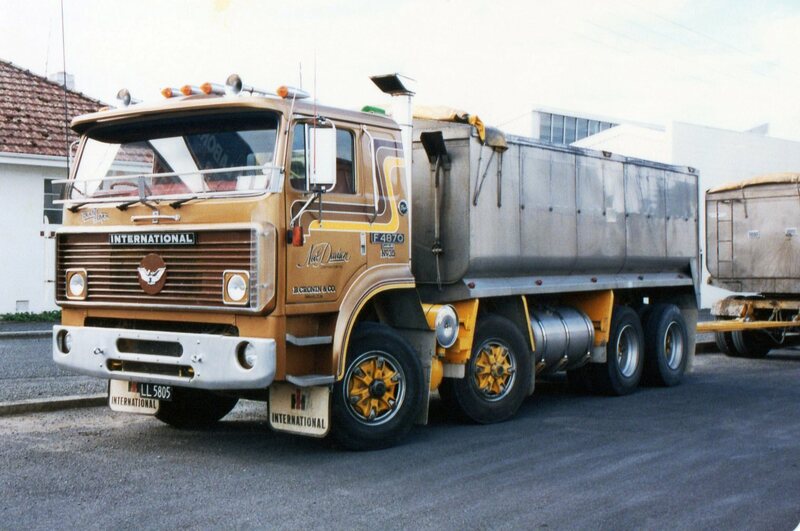 This one of Neil Davison's was contracted to Cronin's and seen in Hamilton. 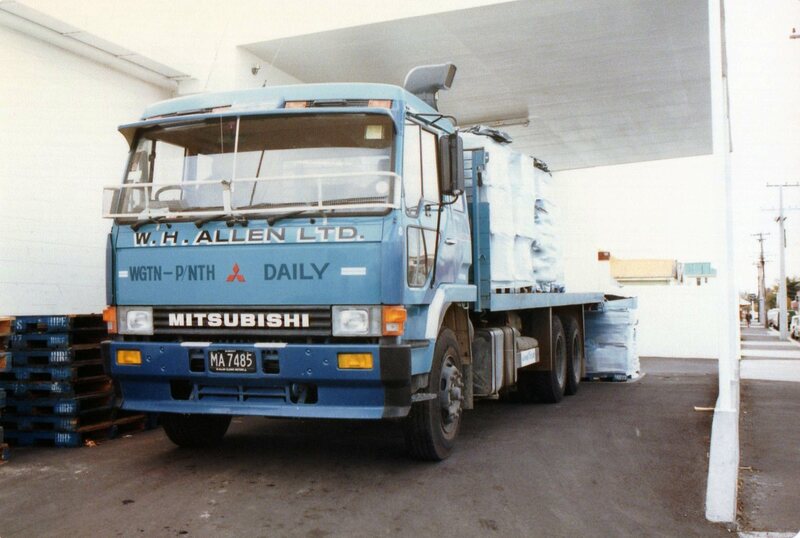 Another unit from 1984, a Mitsubishi FV415 of W.H.Allen, unloading at Woolworth's supermarket, Masteron. 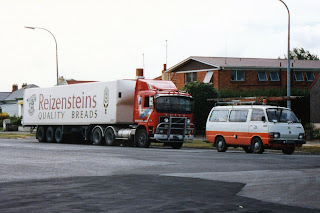 Brightly painted F12 Volvo hauls a load of Reizenstein's bread through Hamilton. This Brockway Husky was born around 1971 and fitted with a Detroit 8V71. 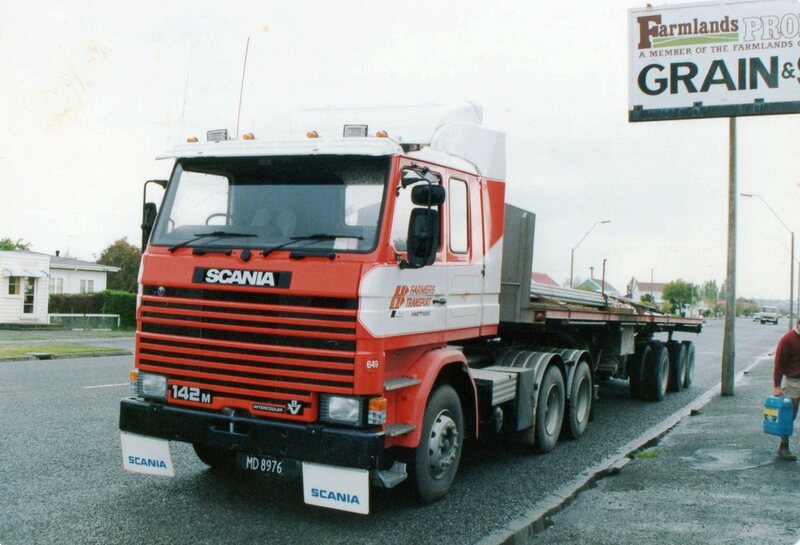 At one stage it was owned by Ace Demolition of Featherston. When this pic was taken it was in a yard in Newtown, Wellington. 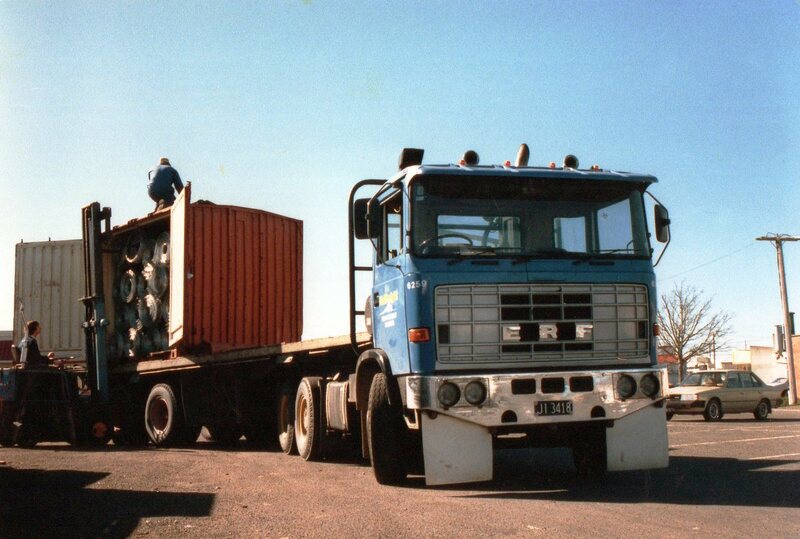 I wonder where it is today. 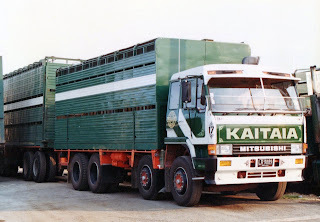 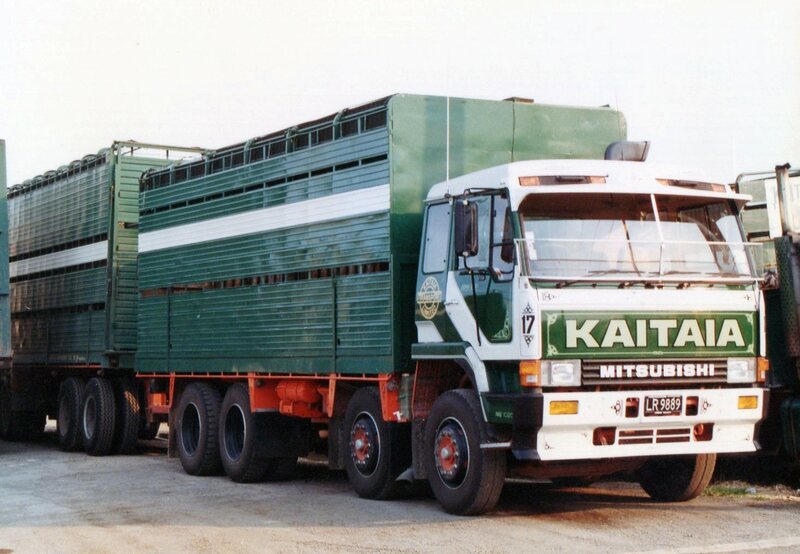 An '84 Mitsubishi FV415 of Kaitaia Transport, in their yard in Kaitaia. 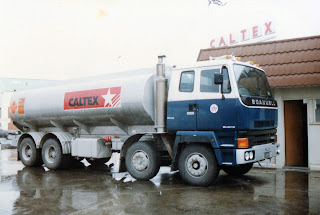 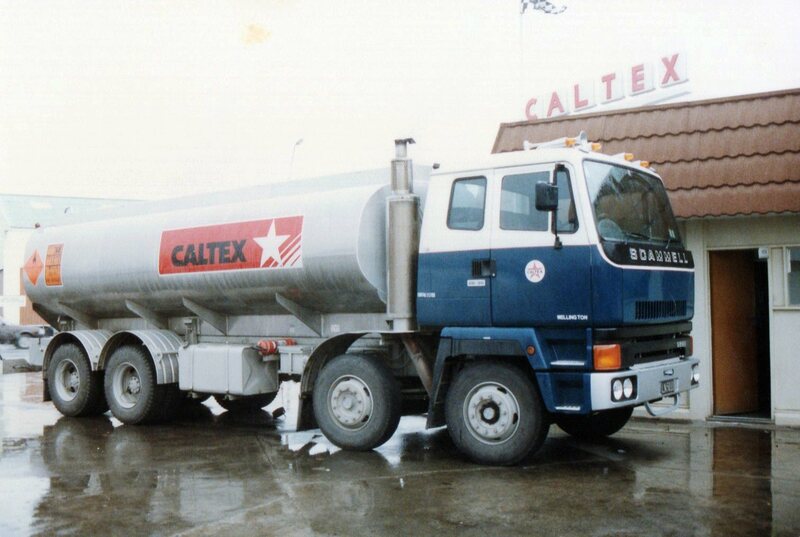 From 1984 again, comes this S26 scammell of Caltex. 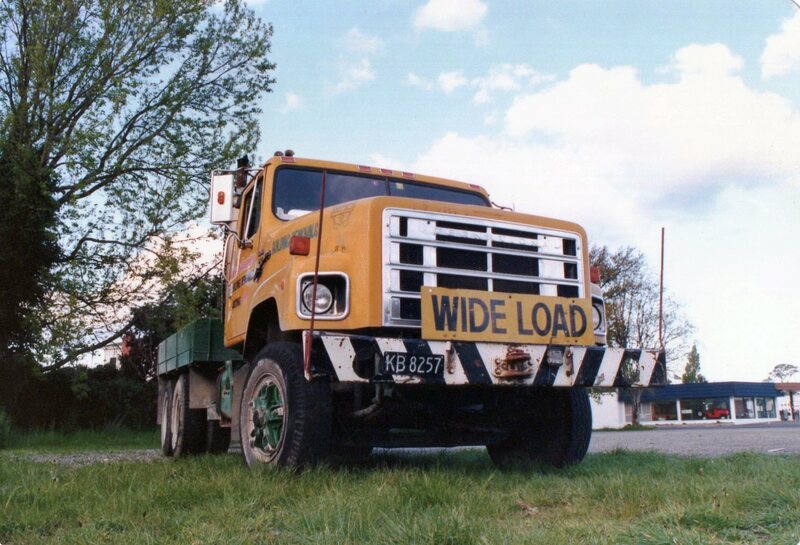 Draining its load at Nick's Auto in Masterton. 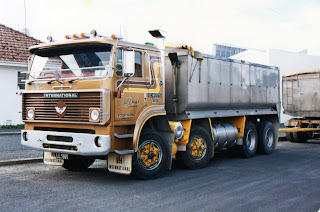 Elms of Hastings have run a lot of early British vehicles over the years. This Foden 6C from 1969, tops up the tanks at Faulknor's Service Station in Masterton. 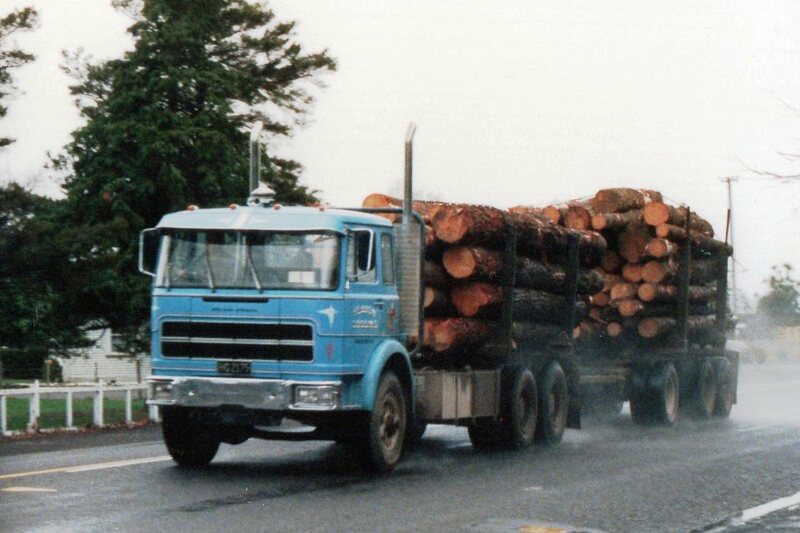 This Fiat logger first arrived in Masterton under the command of John Innes. Later it was taken over by Fearon Logging, who it belongs to in this picture. 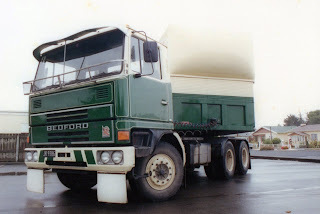 It was powered by a Detroit 8V92 and had a lovely mellow note from those twin stacks. 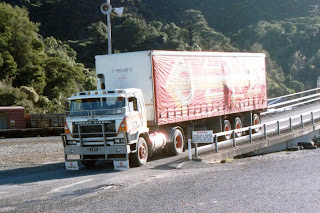 Disembarking from the inter-island ferry at Picton in the South Island is this Nissan with 3 axle rear steer trailer. Unusual to see a semi-trailer of this size being pulled by a 2 axle tractor. NZR Road Services had this B series ERF with customised front bumper. 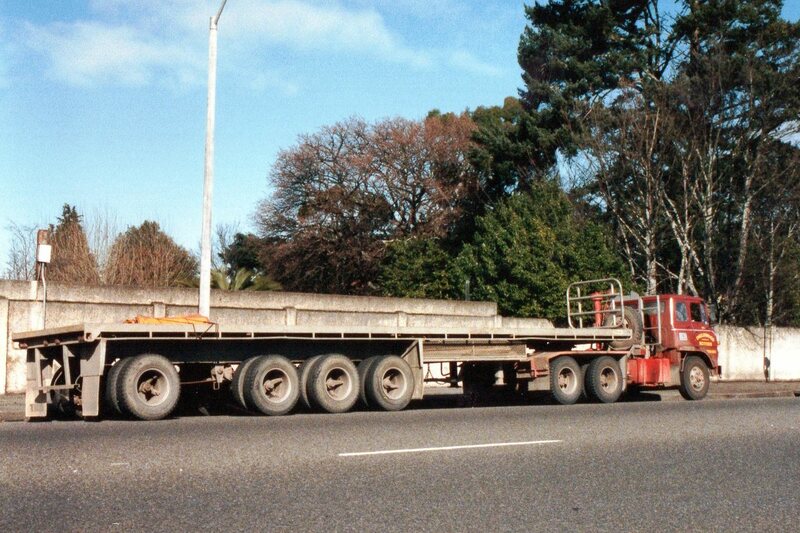 4 axle rear steer trailers were not common in the 80s. This one was used for carrying electric transformers, behind what appears to be a Fuso. 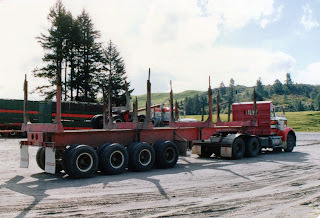 Mike Lambert operated this 4 axle trailer on logs in the Rotorua area. 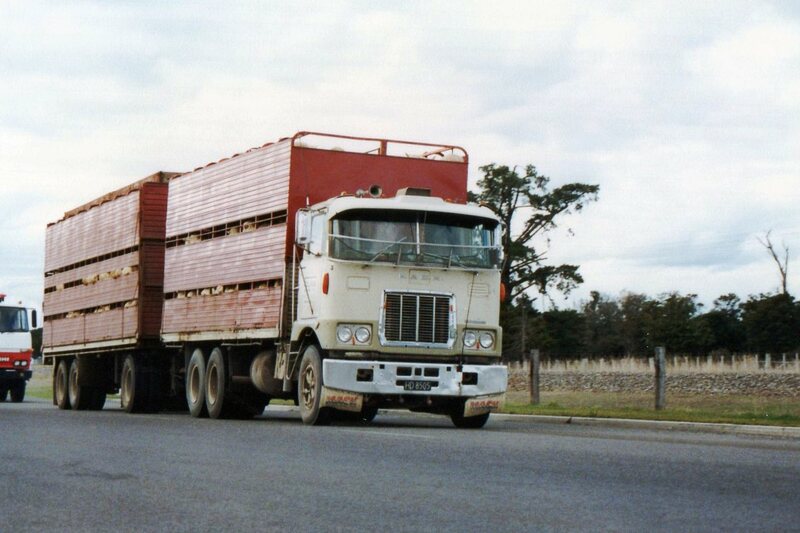 From memory the trailer was labelled Hydrasteer, but I have no idea how it worked. 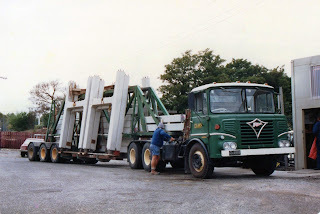 Pulled by Kenworth. 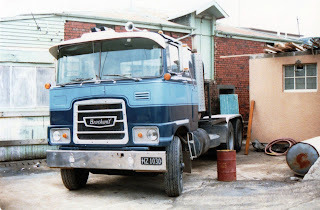 Sanitarium Health Food's Bedford TM was 8V71 powered. Scania R142M of Hawkes Bay Farmers Transport with 3 axle self steering trailer.